When we argue, our truth seems so obvious. We ask ourselves “Why can’t they see the truth?” Or we accuse them of lying. This makes us even more determined to prove that we are right. We appeal to friends, colleagues, strangers to agree with us and help us prove the other person wrong. Research and our own experience prove that the more you push and argue, the more convinced each party becomes that their truth is the right one. It’s like trying to untangle a knot by pulling hard on each end! When we are passionate about something, emotions and adrenaline flow through our bodies. It feels great and we feel invincible. What we don’t realise is that these hormones also shut down some of our capacity for critical thought and seeing the different shades of grey. Our mind narrows and we literally cannot hear or see another point of view. Then, someone disagrees with us. We get angry or scared–we had such a beautiful idea, all we wanted to do was share it. Now we are being attacked. 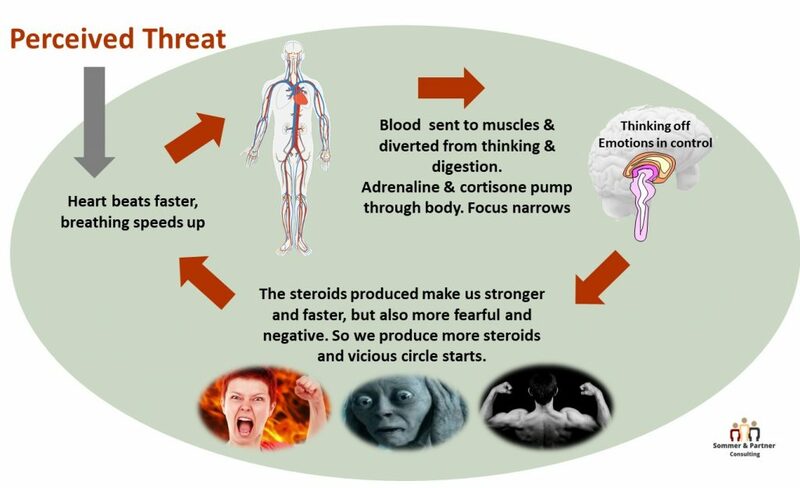 Cortisone and adrenaline flood through us, making us more combative, pessimistic and narrow-minded. The diagram shows what happens when these hormones kick in. The same thing is happening to the other person. We are now not likely to convince each other that we are telling the truth. 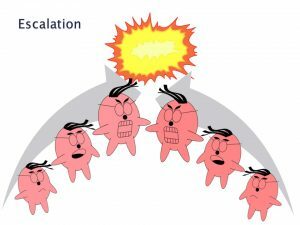 The conflict escalates. 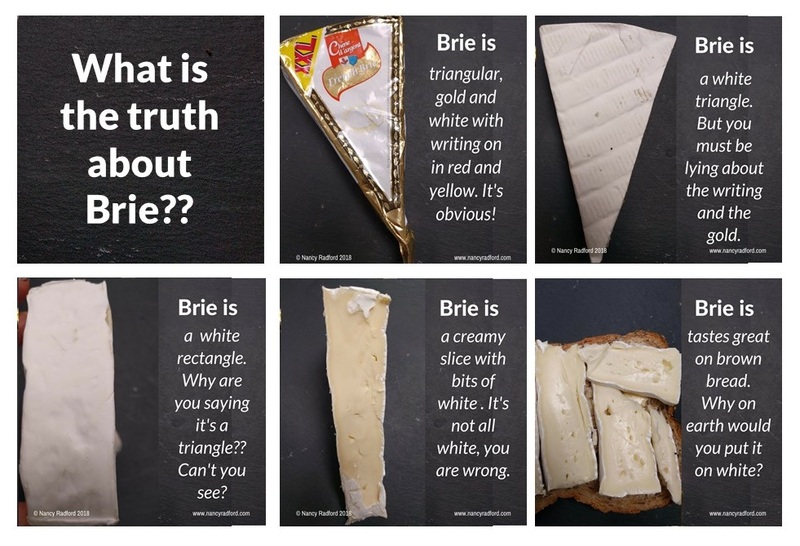 What’s the truth about brie? Experienced mediator John Sturrock suggested using a cheese to illustrate that there is not just one truth. Here are some pictures of the same cheese from different angles and in the same situation. Next time you think someone is ignoring reality, lying or not seeing the truth, step back. Proving who is right is not the most important thing. Figure out what is. Try and see what you agree on before picking holes in the other’s argument. Maybe, just maybe, you are both seeing the truth, just from different angles. If you want to talk about a particular situation, email help@nancyradford.com. The first exploratory, confidential conversation is free. Or sign up for more tips and links on a regular basis. A tree near us in the autumn has three completely different coloured leaves–yet they are all part of the same tree.